$300K or more a year? That’s a LOT of money. 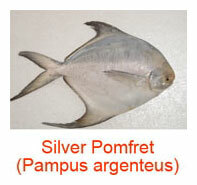 We have a buyer from Japan who buys 20 FCLs (40-footer, refrigerated, Full Container Loads) of Silver Pomfrets (a type of fish - picture below) every month for a 2-year contract period. So every FCL of Silver Pomfrets has a value of around USD 45,000 (USD 3,000 per MT x 15 MT per FCL) . With an order of 20 FCLs a month we are talking about a contract value of around USD 900,000 per month here. Our consulting fees for arranging the deal is just 1% of the contract value. How much does that translate into in terms of dollars and cents? Yes, in the real world out there that will translate into repeat payments of USD 9,000 per month for 2 years for us. This deal ALONE is worth USD 108,000 a year to us. Keep in mind that this arrangement is between just one buyer and one supplier. We can rinse and repeat this same process over and over again with other buyers and other suppliers in our global database. With just 3 deals a year like this we can already achieve the USD 300,000 target. But of course we do not stop at just 3 deals a year. Why should we? The world is our oyster. In our global database we also have other suppliers with products such as raw materials, frozen food, industrial products, chemicals, etc . We can rinse and repeat this same process over and over again, matching suppliers in our global database with other global buyers around the world as well. And of course we will try our best to get buyers who can commit to a long-term contract as we are able to get repeat payments from there. Is the global market worth it in the long run? You bet. Is it going to be easy? No, it won't. Is it going to be difficult? Not really. We do have college kids, grannies and grandfathers learning this from us over the years. This is a thinking man's or a thinking woman's business. You need to think and read quite a lot so that you can show your clients that you know what you are talking about. In this business we do not spend our money on inventories, stocks or lavish offices. Instead we use our money to gain knowledge which is then used to connect people from different parts of the world. We become the "super-connector" and make money from there. The fact is, real businesses are never easy. Anything worthy in this world are never easy. This is a fact of life. But with the proper attitude, knowledge and network you can definitely prosper. That is why you must learn it from people who have experience in this particular field. There are people who spent years working and figuring out this market. We are one of them and we are good at it. And we are willing to share our knowledge, network, findings and years of experience with you, if you are interested. Before you start saying that this is just another “broker or agent business” let it be known that this is NOT a “broker or agent business”. Its workings and approach are different. Yes, when I first started in this field back in 1996 I used to do it like a broker or an agent. But guess what? For the first six months, though I tried very, very hard in many ways possible, I still could not see the money. But I was told earlier that making money as a broker is easy. If that was the case then how come I could not make a single cent during those first six months? So I stopped everything, sat down and analyzed the business especially its workflow. I have always been a “systems” man. I have always believed in systems because they work and the results are often quite predictable and measurable. I found that in this business it always came down to this particular “bottleneck”. So many people think that making money as a broker or an agent is an easy job. It resulted in people jumping on the bandwagon in droves, often with no working knowledge on how it is properly done. So what happens when you have many people with no working knowledge and no experience trying to approach suppliers with only promises of finding good buyers for them? The result is total chaos. Many suppliers soon learned that these rookies simply could not deliver on their promises. Unknowingly these guys were giving other brokers and agents a bad name. It came to a point where many suppliers simply pushed aside any agent or broker who came along - treating these guys as “pests” and “dirtbags”. I decided to do something about it. After looking at other business models and after making careful considerations, I decided to do it the consulting way. Most people are receptive to consulting and over the years it has proven to be workable with simple, straight-to-the-point procedures. And like it or not, consulting does carry with it a certain “prestige” and adds a serious tone to it. But most importantly by doing it the consulting way we have managed to deal with a nagging issue that has often troubled many other agents and brokers - the repeat payment issue. While most deals done by agents and brokers are one-offs, we, as consultants, have managed to get repeat payments on many of our deals. When your deals are one-offs, you have to hunt for new deals every day. It’s tiring and back-breaking. We, as consultants, on the other hand, are quite content with just 1 or 2 new deals a month. We know that our previous deals are still making us money on a regular basis through repeat payments. We only work once but get paid many times. See how a slight twist can do wonders to an old profession? I have been doing this for more than 20 years now. I know it works because I am still making very good money from it. It is definitely possible to make $300K or more a year from this consulting business as you will be dealing with industrial buyers and suppliers (mostly factories and industrial plants) from all over the world. I have been dealing with these guys since 1996. One thing I know for sure about them - they seldom buy in small quantities. Often they buy products or industrial raw materials for their factories in HUGE volumes - they buy in metric tonnes(MT), by container loads and ship them across oceans thousands of miles away. In business it is always a volume game. Even with a cheap product you can still make millions of dollars if you have the business volume. But here’s the beautiful part. You don’t have to generate the volume for them. THEY (your clients) will generate the volume FOR YOU. And your consulting fees will be a portion of the contract value. And best of all, unlike normal retail buyers , these factories are often REPEAT BUYERS. They constantly need to have their raw materials replenished or they run the risk of having to stop their production lines in mid-production which will create more problems for the owners. The potential for consistent monthly or quarterly repeat orders means that you also have the potential to generate for yourself lucrative, long-term recurring incomes. This is a truly global home-business. And it’s YOUR own business. You simply could not do this business from A to Z from home 15 years ago. Some of the required technology was either not available back then or if available, simply too expensive to use. However with the advancement of technology and its availability worldwide, it is now possible to tap into the lucrative world of international trade right from our own living room. The opportunity/ technology is already here. If you don’t take it now then someone else will. I have been doing this business since 1996 and I am still doing it now, using and applying the relevant technology as and when it becomes available. Why should I stop? It’s lucrative and I can do it from anywhere in the world..
Have you, for the last few months, been scouring through blog posts, forum threads, articles, Facebook, Twitter, etc until all hours of the night looking for that elusive “next big thing” product than can make you rich? Especially ones that claim to help you benefit from some Google “loophole” or Facebook “exploit” or whatever. Do you REALLY want to base your business around that? Those guys at Google and Facebook are not idiots. Many of them are world-class at what they are doing. Google and Facebook did not get to where they are today with idiots working for them. If there is a "loophole” or “exploit” they will learn about it sooner or later and plug it. Can you live day by day knowing that any day soon that “loophole” or “exploit” can be closed up and it will instantly destroy all the hard work you’d done and, more alarmingly, any future profits you would have seen from it? I sure as heck can’t live like that. I value my sanity very much. When someone bases their livelihood on sneaky tactics, it’s almost like they’re living the life of a refugee from the law. They’re constantly looking over their shoulder waiting for the inevitable to happen. For the person foolish enough to base his/her income on a “loophole” or “exploit”, it’s waking up one morning to find that their entire business model has evaporated overnight. And then they have to start from SCRATCH. It has happened to so many people - it’s a crushing reality. Ask yourself - can you start something from scratch, put your blood and sweat into it and without a choice watch everything go down the drain every 1 or 2 years and then re-start again with something new? How many times can you repeat that? You are not getting any younger. Your funds are not unlimited. There will definitely be learning curves where your income will be stagnant. It’s physically exhausting, time consuming, soul-sapping and energy draining. There must be a BETTER way. I have released this Full Course on global procurement consulting (GPC) for you to benefit from my experience as a global procurement consultant since 1996 (more than 20 years ago). Yes, I have been making money from this for that long and I am confident I will still make money from this for many more years to come. My market is global and it’s HUGE. The Internet is my ticket to all this wealth. You can bet your last dollar that I will teach my children everything I know about this business. I believe I can also help YOU make a lucrative, solid, long-term business for yourself - from the comfort of your own home. Yes, this type of business is kind of “old school” but if it works and it makes money then why not? There are many “old school” type of businesses out there - trading, manufacturing, services, etc. People still make lots of money from them. Believe me, when the money starts rolling in, it makes no difference whether this business is “old school” or “new school”. Money has the same colour whether it comes from “old school” or “new school”. But just like any real business out there, you still have to work on it to make it a success. This is NOT a get-rich-quick scheme where you sit back and do nothing but still expect to make money. The GPC Full Course is a step-by-step guide that shows you the inside secrets, tips, and techniques you need to know to succeed at starting, running and expanding your own home-based global procurement consulting (GPC) business. In it you will learn how to set up your business, what equipment you will need, where to look for an almost endless source for lead generation, how to negotiate for your consulting fees, how to write business letters that produce results, etc, plus the insider secrets of an established global procurement consultant. You'll learn everything you need to know to quickly build a profitable global procurement consulting business on a shoestring budget. This Course covers a lot of ground. You'll even find sample letters and templates you can use as the framework for your own global procurement consulting business. This Course will quickly show you how to build the kind of income that can easily exceed what you make on your 'real job'. This is a home-based Internet business with a BIG difference. * No mailing list/ autoresponder - being too dependent on a mailing list is, by itself, one of the biggest factors why many Internet businesses failed. Ask any Internet guru whether it is possible to do an Internet business without the three elements above and most probably they will say "No way, Jose !!" Well, sorry to disappoint you Jose, there is now a way !! But actually it has been hidden from public view for more than 20 years. First things first, I believe many of us are still affected by the after-effects of the financial crisis in America and Europe. Energy and food prices are still at high levels. These are trying times. Big businesses are going under in droves. Economists paint a bleak picture of the future. More people are losing their homes as they couldn’t keep up with the mortgage payments. Banks and factories are laying off workers by the dozens. It will take quite a few years before things get better. But are things really that bad everywhere? If you operate a local or regional business, you might say “Yes”. But as a business owner who operates internationally, I’d definitely say a big “NO!”. There are still many areas in the world where business is still thriving and vibrant - areas which you can go to within 3 clicks of the mouse through the Net. You would know this if you are in international trade. I started my global procurement consulting business from the basement of my house back in 1996 . Those were really tough times. The Asian financial crisis (1997-98) really took its toll on us - the common people. I grew up dirt poor so I knew how it felt like when you don’t even have two coins to rub together. Things were really bad during the Asian financial crisis. Companies were crashing down like flies back then. And that was the time when my global procurement consulting business was just starting up. As it turned out the Asian financial crisis was actually a blessing. I discovered that this business actually thrived during a recession or financial crisis! I really made my money in the next two years while the Asian economy recovered and later expanded into other businesses. But until today my global procurement consulting business still remains as my flagship company. It is still one of my biggest money-makers . Strange as it may sound, I am actually looking forward to the next economic recession. It comes in cycles every 11 or 12 years. Do you know any businessman who looks forward to an economic recession? Now you know one. Today, I’m doing well with a diversified portfolio (translation - multiple sources of income) and I try as much as possible to give back to society and to help other people come up in life through charities, foundations, schools, universities, volunteer work, etc. I am a practising global procurement consultant and I have been doing this business for more than 20 years (since 1996). So to me this is not just another academic exercise. This is a REAL business with REAL results. You can always refer to my GPC (global procurement consulting) website at http://www.axisnetonline.com for more ideas on how to run or expand your own GPC business. Please remember that this is a real and working website from which I do my GPC business DAILY. It is NOT a demo site. More on me here . My GPC (global procurement consulting) business has served me well over the years. It is a lucrative business and it has, over the years, provided me with the means to start and build up my other businesses dealing with mergers & acquisitions, manufacturing, JV brokering, Internet publishing, etc. The links above belong to a B2B portal ( http://www.ec21.com ) which deals with international trade. There are other, quite similar B2B portals which are many, many times bigger than the portal above. If you think you have seen a lot of the “Buy” and “Sell” offers at the links above then imagine how many more you can see at other B2B portals which are many times bigger than the portal above. Some of the bigger portals such as Alibaba.com or ECTrade.com can even have more than 1,000 “Buy” and “Sell”offers per DAY. In terms of lead generation it will take you years just to cover existing leads. Mind you, thousands of new leads are added daily across other B2B portals all over the world. And the cost of contacting all those potential customers? Nearly zero except for your monthly Internet connection bill with your local ISP. Now, back to this site. International trade is not a fad or trend. It is an evergreen subject. As long as people buy and sell things (cars, machines, textiles, medicines, canned food, rice, spices, fruits, chemicals, etc) all over the world, then international trade will always be relevant. And as long as people still buy and sell products all over the world then this GPC course will always be relevant and can be applied anywhere. Yes, international trade is old school stuff but make no mistake, it will still make lots of money for people now AND in the future. Please answer this question truthfully - have you ever found an Internet-related product which you believe you can still use after 10 years on the market? It’s a fact. Everytime Google changes its algorithms, the SEO playing field also changes along with it, dragging down the rankings of thousands of websites at the same time . Overnight, current books on SEO become obsolete and Internet gurus come up with new SEO books to cater to the new Google algorithms. Aren’t you just tired playing that same game month after month, year after year at the mercy of Google? We are quite confident to say that most of our Course materials will still be relevant and usable 10 or 15 years from now. Even when you hand down this business to your children later, we believe they can still use our materials. How can we be so confident? The fact is very few things have changed in international trade over the last 30 years. It is a dinosaur alright but the system works beautifully in its present form. But the most important point of all - it is being used by many people worldwide and it is still making LOTS and LOTS of money for MANY people. That’s the beauty of it. Why change when something is working just fine as it is. "This stability is the bedrock that makes international trade the way it is today. You can go to any country in the world and trade using the same terms and methods that are recognized and accepted worldwide." We don’t think international trade will be collapsing in the near future. If it does then all of us will be in big trouble. We are talking about the collapse of global trade here. Governments will never allow that to happen. So does the business community. 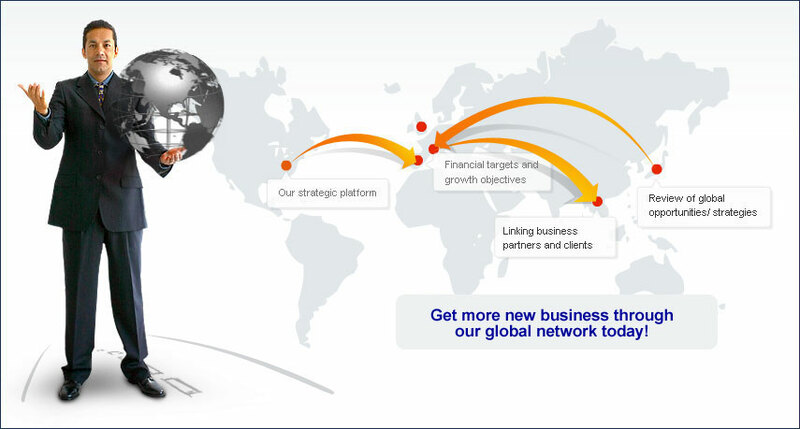 If you are looking for a business that offers a stable future, a global audience and access to global markets then look no further. Why not? Consulting is a unique business. Consultants provide solutions to specific problems through their expertise, experience or contacts. When it comes to consulting, this particular fact has stood the test of time - if you are really good then people will come running to you with money in hand (or in briefcases). Indeed, consultants are usually among some of the highest paid members of society. A really good consultant is always in demand. Just name your price. But to get to that level, you will need to build up your credibility. A consultant is often a problem solver. Age is never an issue. You can find consultants in their 20’s up until their 80’s. With the advancement of technology consulting can now be done online but with a slight twist. Click here . You’ll be surprised how simple this business is. "I have to give you my heartfelt thanks. After downloading your product, I went through the materials in a single evening. I had trouble sleeping that night with so many ideas coming to mind. Your tactics, techniques and insider information simply rock! It’s a credit to you and your product. You have made it so easy to understand and apply. If I can do it from Alice Springs(in the middle of nowhere), others definitely can!!" International trade is one of the hot industries of the new millennium. But it's not new. Think Marco Polo. Think the great caravans of the biblical age with their cargoes of silks and spices. Think even further back to prehistoric man trading shells and salt with distant tribes. Trade exists because one group or country has a supply of some commodity or merchandise that is in demand by another. And as the world becomes more and more technologically advanced, as we shift in subtle and not so subtle ways toward one-world modes of thought, international trade becomes more and more rewarding, both in terms of profit and personal satisfaction. We're living in a brave new world. The enthusiastic emergence of free market ideas around the globe have created an unprecedented bounty of international trade opportunities. Markets that didn't even exist a few short years ago now devour imported goods with startlingly voracious appetites. As a global procurement consultant, you couldn't wish for a better setup. The world is your oyster, the globe your market. So what does a global procurement consultant do? A global procurement consultant is someone who leverages his time, knowledge, network and contacts to help international buyers find suppliers and vice versa. In other words a global procurement consultant uses his expertise to help match buyers and sellers globally. By using the Internet as the main medium for doing business, he can effectively work from anywhere in the world. He can either work alone or with a team supporting him in the background. Laptops and smartphones will be his main tools. He is a global player. The world is his playground. This is a very unique business. Many secrets of the GPC (global procurement consulting) business will be revealed to you in this complete course. As a global procurement consultant, you can work from anywhere in the world. You can live in a log cabin in the mountains or in a house on the ocean's edge. As long as you have a telephone, a scanner, a computer, Internet access and this course - you are ready to do this business. A fax machine and a printer will make your job easier and more efficient, but they're not an absolute must in the beginning. You can work from your home and deal with your suppliers from China, Taiwan, India, Australia, The Middle East, Africa, Europe, America, South America, The Caribbean, even Alaska ...... just like they're in the same room with you. And you can give all your clients excellent service, just as if you were face-to-face. Thank God for modern day technology. As a global procurement consultant, you're the "connect-the-dots" man. You don't physically handle the products yourself. You just make a fortune as the consultant who links the buyers and the suppliers. Here's a business very few people know well enough that you can operate from your home. You can make as much money as you have time to make. This is the type of business where you can hand it down later to your children and their children's children. So you must understand its long-term potential and viability. But it’s fun, believe me, when you sit down with your cup of coffee in your favorite cafe on a Monday morning while other people are busy outside rushing to work or taking your kids to the park to fly their kites on a Wednesday afternoon while other people are busy going through their stressful meetings at the office. "You’ve put together a great package. The section in your course about negotiating with stubborn sellers was invaluable. Your inclusion of JV techniques was simply brilliant. I feel like I'm getting a 2-in-1 deal. Keep up the good work! "Thanks for offering this product. I believe many of the quick, simple yet effective ways mentioned are not being covered anywhere else. You have given us all the knowledge and tools that we needed to have to make sure that we're starting on the right track! Thanks again! You can do this business full time or part time. You can start this business from home or from anywhere . There is an almost endless supply of leads at B2B portals dealing with international trade. You probably have all the equipment needed already. It's entirely possible to start this business from scratch, zero, nada, zilch. You simply offset your deficit in international trade with your other assets (knowledge, contacts, etc) from a business you already know. If you're a computer whiz, start out with buyers and sellers dealing with computers. If your turf is chemicals then start out with buyers and sellers dealing with chemicals. Go with what you already understand. When you deal with international trade through the Internet, your market is global. As long as there is international trade and B2B portals supporting it then this GPC course will always be relevant and can be used over and over again. This is perhaps the ONLY Internet-based business that is truly independent from SEO, if you wish to take that path. It makes no difference if you want to leave out SEO entirely from your marketing efforts. Some infoproducts such as ebooks suffer from the "feast and famine" cycle. Initially when launched, sales go up and up for about a month or so then tapers off. This is especially true for ebooks which deal with a specific "hot trend". When the "hot trend" slows down and eventually dies, so do the sales of ebooks dealing exclusively with that topic. Since this GPC business makes use of the Internet and B2B portals extensively then your market is global. This GPC course will take you to the next level where now, instead of doing business locally , you will be going INTERNATIONAL by leveraging on the vast resources available on the Internet . A general understanding is often more than enough. As long as you are respectful of other people and their cultures then you should be OK.
● Some people worry that international trade might be affected by recessions, economic slowdowns, etc. Recessions are just minor glitches in international trading. One part of the world might be going through a recession but other parts of the world might be booming at that same, particular time. Even when deep in a recession, trade never actually stops. People still need to eat and buy other things. Life will still go on although at a much slower pace. This business is not affected by all that. We are using the Internet right? Through the Net you can go to any market you wish anywhere in the world. If let’s say South East Asia is going through a recession, America might be booming at that same time. This was what happened the last time in 1997. Since you are using the Internet to look for buyers and suppliers, just go the American market through the Net and look for your buyers and suppliers there. As simple as that. They are as near as possible to the real thing. It's quite easy actually but you have to follow certain steps. Just like driving a car - you have to follow certain steps which will be revealed to you. The only traffic to your site will be from your potential clients when they need more information about your company...and that is more than enough! So you don’t need to buy traffic through PPC, etc. Your payments will go straight to your bank account, wherever that may be in the civilized world. Payments to you will mostly be done by TT or Wire Transfer so you don’t have to crack your head dealing with credit card payment gateways, late charges, refunds, etc. The Advanced Series Guidebooks deal with the finer points of doing this business. Through them we will show you the methods and strategies used to fine-tune this business (especially if you are dealing with overseas clients) so that you will get the best results in your dealings. Each Advanced Series Guidebook concentrates on a particular topic, explained in great detail with huge doses of real business experience added in. It is very important to always keep in mind that professionalism and integrity are of the utmost importance in this field. Always think long-term and keep your clients' interests at heart. Volume 7 - The Million Dollar Question - Which Products? Volume 9 - The Importance of Systems - You have to learn to be lazy ! "Believe me - you'll be learning tons of AMAZING stuff from Shahrul who is a real, practising global procurement consultant himself! I have benefited tremendously from his expert advice and experience. I’ve been in international trade for nearly 10 years. I didn’t think there was anything in this course I didn’t already know. But, ultimately, I was surprised to learn valuable techniques I’d never considered before"
Why is building a home-based business so damn hard for some people? Building and maintaining a successful home-based business that generates lots of buzz, loyal customers and loads of profits is much more complex than simply putting up an "I'm in business" sign or buying some "turnkey" business package! It's the truth and anyone who has a successful home-based business knows that it is the truth. Without a proper system to work with, it's not an easy thing to start. It's too risky simply leaving it to chance or pure luck. And I should know. I have developed and marketed several online and offline home-based businesses. It took years of trial and error and even a few failures to develop a reliable and easy to manage system that works. Over the years I have developed "systems" to make my business life easier and more predictable. Just look at McDonalds or Domino's Pizza. Why is it that the same teenager who you cannot even trust to make his own bed at home instead can be trusted to manage a McDonalds restaurant? Because McDonalds uses "systems". With systems in place, a business owner can go on a round-the-world trip and his business will still run in his absence. You can call me a "systems" guy. I believe in systems and I know they work. And I'm speaking from experience. "Shahrul's knowledge and dedication to the global procurement consulting field is evident as he shows you some of the MOST ADVANCED techniques available for you to create the most impact for your consulting business!" Have you ever found yourself in the situation described below? Many people write reports or guides on doing Internet businesses and then stop at that. The public is often left wondering if these businesses really work. Usually they have to buy the reports or guides first and then try them out. Often different people get different results. Most failed at it. But they have already spent money buying the reports and guides. There’s nothing much they can do about that. Asking for a refund is always a hassle. Most of them suffer in silence and move on to other things. We, however, prefer to take a different path. To prove that this consulting business is viable, we have taken the financial risk away from you by boldly giving you a “trial-version” Manual for FREE for you to evaluate its potential. This “trial-version” Manual is actually a “watered-down” version of the Full Course. It still contains about 40% of the original contents of the Full Course which is more than enough to give you a detailed view of this business’ viability in the global markets and its future income generation potential . The rest (60%) is more on the technical know-how stuff - the “meat” of the Course. Just fill up the form at the bottom of this page so that we can send you instructions on how to download this “trial-version” Manual. If we are not confident of our product’s business viability then do you think we would even dare to take such a bold step? The biggest reason why we want to put our FREE, “trial-version” Manual into as many hands as possible is for people to evaluate for themselves the viability of this type of business and its future income generation potential. We have come up with a revised Course to include the latest developments in this field . Some people might say the GPC Full Course is a bit expensive. Seriously, do you expect somebody to teach you how to make $300K or more a year for a one-time fee of just $3.95 ? I see a lot of that on the Internet. Sometimes it’s kind of insulting when you think about it. I won’t insult your intelligence by doing that. There's a lot of hype floating around in consulting books and on blogs that talk about all the wonderful ways you can get rich overnight. Most people that talk like that are good at selling their own books and programs yet very few of them have actually run successful consulting businesses in the real world. Surprisingly many of them are academicians who have never run a single business in their entire life. I’m the complete opposite of that. I have been running my own global procurement consulting business since 1996 and I work with clients from all over the world every day- I know my stuff very well. I will be sharing with you real-life cases with huge doses of real business experience added in. There is a saying, "You get what you pay for". You pay peanuts and you get monkeys. It’s very true. For instance, if a hair salon prices a haircut at $8 or $12, it will most likely attract people who don't care about the quality of a haircut and who don't want to pay for extra services like a wash or blow dry. Personal services are highly commoditized. You price low and what happens is you're going to attract the people willing to pay only the cheaper price. In turn, your profit margins are going to be razor thin, which means you won't have the resources to innovate or market your products. From our experience we believe at this price we will turn off the tire kickers who are not actually serious enough in starting a real business. These people buy manuals, guidebooks, etc - and read them all. But they never take any action after reading the manuals and guidebooks. Some even asked for refunds without even giving the business a try, saying the business is just not suitable for them. I have poured into this Course almost everything I know about the subject. I know for a fact that I CAN make USD 300,000 or more a year using the materials in this Course. Drop me anywhere in the world with just this Course, a laptop computer and good Internet access and come visit me there a year later. Most probably I would have already exceeded the USD 300,000 benchmark by that time. I can say that because I know I have the skills, ability, commitment, experience and the know-how on how to achieve that target. However I cannot say the same about you. All of us are different. I do not know what skills you have, how much commitment you can give to this business, etc. I can teach you about this business but whether you will succeed and make USD 300,000 or more a year depends a lot on you and your efforts. It's just like going to Harvard University. Maybe it is the best university in the world but nobody there can guarantee that you will get a first class degree. You pay thousands of dollars to go to Harvard but if you do not put in the time and effort then you will still get nothing. Even after paying thousands of dollars, nobody in Harvard can guarantee you a degree. The same with this Course. I wish I can guarantee that one year from now you will already be making USD 300,000 or more a year. I honestly wish I could do that but I can't. It depends a lot on you and how much (or how bad) you really want it to happen. I can show you the way as this is a real business with real potential. But you still have to put in some sweat in it. Surprisingly, some people want to be rich but do not want to do any work. I cannot help you there even if you can pay me a million dollars. Making $300K or more a year is not a pipe dream in this business. If you are already involved in international trade then you will know the huge amounts of money changing hands in international trade every single day. If you don’t believe me then you can ask those guys who work in freight and shipping. They are the ones handling the transportation of these goods. Ask them about the contract values stated on the shipping manifests. The amounts are just huge and mind-boggling. If you are willing to learn and give yourself a real chance at making real money through a real business then I can teach you so that you will not make the same mistakes I did last time. This will take some time and there will be a learning curve. So far I have NOT yet found any real business that has no learning curve to it. Real businesses come with learning curves. That’s a fact of life. Learn something worthwhile and do something meaningful with your life. Leave the rat race and believe in your own abilities. Be outstanding and not just mediocre. Some people offer extra bonuses which, when combined, give the impression that you are getting a super deal. Often the value of the bonuses far exceed the value of the ebook being sold. The idea is to make the value of the bonuses so high that buying the ebook would look like a real bargain. Example - buy the ebook at USD 17 and receive bonuses worth USD 700. Some people, unfortunately, still fall for that old trick. We don't do that. We don't want to insult your intelligence by doing that. We give you the real stuff on global procurement consulting. If you are a bonus junkie then we are sorry to disappoint you. Our product is a digital product. Digital products are nothing more than valuable packs of digital information and once it is communicated there is no way to return that information. Thus, all sales must be final. As the saying goes, “You can lead a horse to water, but you can’t make it drink”. 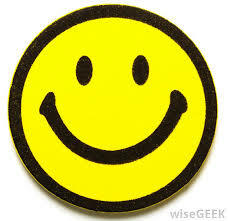 You are ultimately responsible for your own happiness and success. At the end of the day if you do not take action then no amount of information in the world can change your current situation. This policy is necessary to avoid abuse. We have taken the financial risk away from you by boldly giving you a “trial-version” Manual for FREE for you to evaluate its potential. This “trial-version” Manual still contains about 40% of the original contents of the Full Course which is more than enough to give you a detailed view of this business’ viability in the global markets and its future income generation potential . Why is international trade an “evergreen subject”? Seriously, we are talking about consulting here - an area where people don’t blink about paying top money for helping them solve a particularly pressing problem (getting customers is the TOP agenda with any company, anywhere. No customers --> no sales --> no business - as simple as that). It is not by accident that all over the world, consultants are among some of the highest paid members of society. And remember, you can use this knowledge for years to come. You can even pass on this business and knowledge to your children. Mind you, I don’t have to do this actually - sharing this with other people. I’m already comfortable with multiple sources of income. It makes no difference to me to, again, keep all this knowledge and wealth of experience to myself for the next 20 or 30 years while still continuing to make my money from all over the world quietly. But I believe in leaving a legacy, something that can help other people make their lives better, hence this Course. Consider this as an investment in yourself. We have already taken away the risk of you losing your money by giving the “trial-version” Manual to you for FREE for you to evaluate its potential. Our FREE “trial-version” Manual comes with no strings attached . * people who retire early but still need to generate an income, etc. 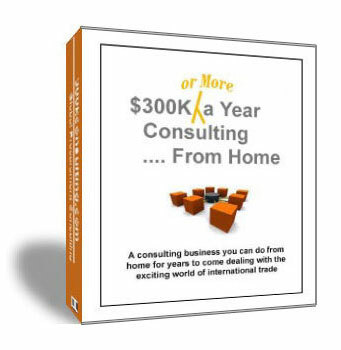 Get it NOW and start a consulting business from home TODAY using the Net. This is a ground floor opportunity in a business which is very different from other Internet businesses that you might have come across so far. Learn from someone who has been making a mint for himself while keeping it in a tight circle for more than 20 years. Through rapid advancement of technology, consulting can now be done from home without losing any of the respect that it has garnered over the years. Business people nowadays are more concerned about solving their business problems. And in many situations consultants hold the key to solving many of those problems. It doesn’t matter if the consultant comes from a remote area somewhere in the Himalayas or from a swank corporate office in downtown Manhattan. The Internet has made the world smaller. An email can reach a client in seconds. Consulting is no longer confined to the corporate office. It has come full circle. We have designed the GPC Full Course in such a way that when you do it properly you will definitely hit a few walls along the way. We designed it that way so that you will contact us and ask us questions along the way. We cannot cram everything into our ebooks as some topics change over time. Some questions will only surface after you have done certain steps in the manual and guidebooks. If you don't do those steps then those questions will not surface and you will not know. Make use of our email HelpLine . Send us your questions. Usually by looking at your questions we can get a rough idea of how far you have progressed and we will do our best to help you progress further.